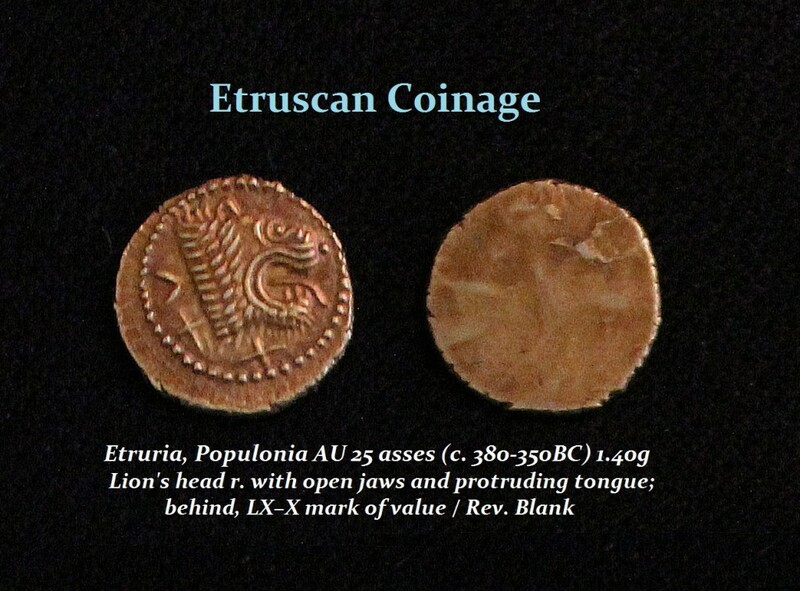 Etruscan coinage is remarkably different from any other issues in the ancient world, It is characterised by blank reverses with marks of value on the obverses, expressed in what is commonly called Roman numerals, which is in fact truly Etruscan in origin. The dating of Etruscan coinage has been extremely controversial with a wide range between the 5th to the 3rd centuries BC. 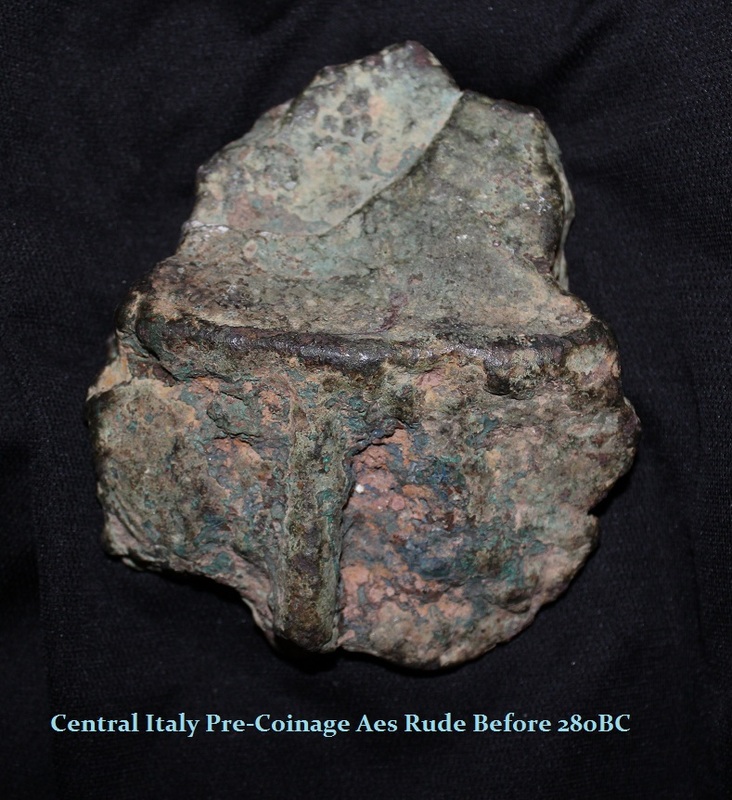 The dating of such Etruscan coinage has been exceptionally difficult because of the lack of any significant hoard evidence that helps to establish the value and use for chronology establishment. Nevertheless, there has been some finds establishing a partial evidence record for the Populonia city. Here in Populonia we find both gold and silver. The 20-unit silver issue in the Ponte Gini find, published in 1996 suggests a date in the first half of the 3rd century BC. 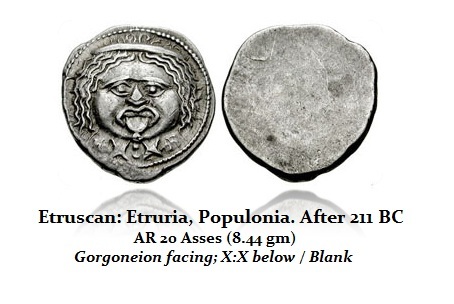 If the find date is correct, it would mean that Populonia issued silver coinage tariffed in silver asses compatible with the monetiform cast bronze (aes grave), tariffed in Roman pounds and ounces and introduced throughout central Italy from about 280 BC. The Populonian 20-unit silver issue and its sub divisions 10, 5, 2 1/2 and 1 units or asses are on exactly the same weight standard of the Roman silver denarius 10 of asses.